Huge Thanks to all Meal Ministry Volunteers! For the past couple weeks, our Meal Ministry leader, Gary King, was out of town and many volunteers filled in for him to make sure the meals continued on. 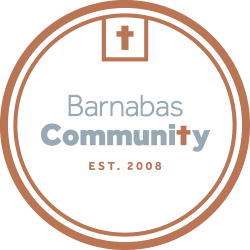 We serve two meals a week, on Thursday nights and Saturday mornings at Barnabas and the extra help was much appreciated. Thanks to all who helped make these meals happen while he was away! Your service was noticed, not just by Gary or us at Barnabas, but by all the guests as well.